Ryan Davidson was just 6 years old when he was diagnosed with brain cancer, and even though he entered clinical trial after clinical trial without ever getting free of the disease, he never felt that medicine had failed him. “He always thought it gave him a fighting chance, so he’d fight for the research to continue to give the next child a better chance and the next child after that an even better chance,” his dad, Kirby Davidson, recalls. Ryan worked toward that outcome by raising more than $100,000 for research at American Cancer Society (ACS) Relay for Life events and through emails, phone calls and public speeches. Always, he used the motto of his favorite football team, the USC Trojans, to inspire his audiences forward to victory. “Fight on,” he would urge. 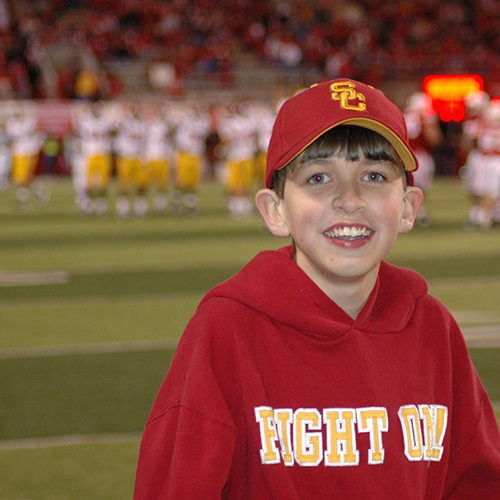 Ryan succumbed to anaplastic ependymoma in February 2009 at the age of 16, but his family is fighting on. 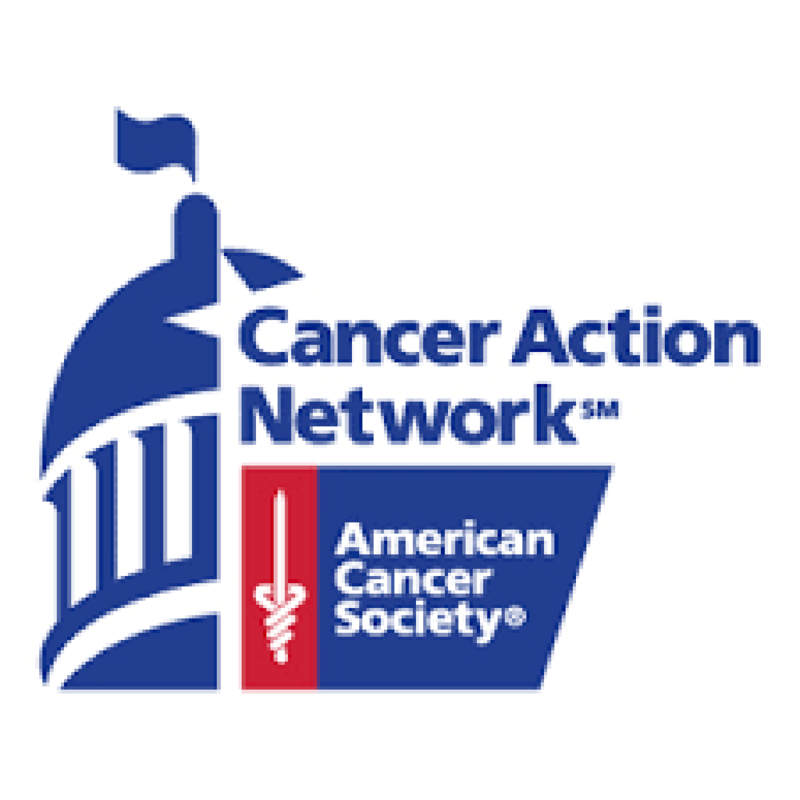 While his mother and sister remain involved with Relay for Life, his father has become a lead ambassador of the ACS Cancer Action Network (ACS CAN), directing volunteer activity in all eight congressional districts in his home state of Wisconsin. 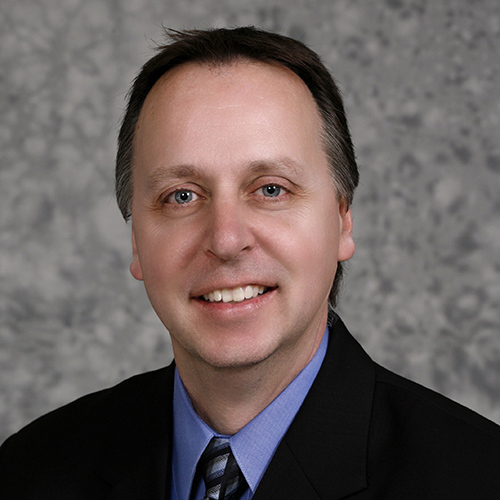 As part of that effort, Kirby Davidson has helped support ACS CAN’s One Degree Project, which has the lofty goal of helping to secure a $6 billion increase in medical research funding at the National Institutes of Health, including $1 billion new dollars in National Cancer Institute (NCI) funding for cancer research, within a two-year period. Launched in March 2015, the project grew out of ACS CAN’s concern that the young researchers ACS was funding with donated money, and other researchers across the country, were later abandoning their work and leaving the field due to lack of government support. The effort was named for the idea that we are all one degree away from cancer. At tables at events all over Wisconsin, Davidson and his fellow volunteers have been asking for signatures on One Degree Project petitions. A handful of names turned into 1,000, and then into far more than that. Behind the doors of state and federal offices, Davidson and other Wisconsin ACS CAN volunteers have urged legislators to support their dream. Volunteers in other states have mirrored those efforts. Late last year, things started to fall into place. In the fiscal 2016 budget, the NCI received its largest baseline funding increase in more than a decade, $260.5 million beyond what it got in fiscal year 2015. Looking ahead to fiscal 2017, President Obama has proposed to increase the NCI’s budget by another $680 million as part of Vice President Biden’s Moonshot to Cure Cancer; that initiative will be up for a vote in September. Together, those increases would nearly satisfy the One Degree Project’s goal. Chris Hansen, president of ACS CAN — a network of more than a million volunteers who stand ready to attend rallies, write emails, raise funds and lobby legislators — agrees. He believes that the One Degree Project, from the opening moment of its star-studded launch held in concert with Stand Up To Cancer, has successfully united legislators who agreed that more money was needed for cancer research, but were paralyzed by the gulf between party lines. It wasn’t just that leaders from different sides of the divide attended the rally, but that they worked together afterwards to support increased cancer funding. Even members of the House Freedom Caucus, known for their fiscal conservatism, have wholeheartedly joined the effort. It’s given Hansen hope that major government support for cancer research will continue after the next presidential election, regardless of whether a Democrat or a Republican wins. Increasing research into pediatric cancers, which are less understood than adult disease. That last point hits close to home for Davidson, who is troubled by the fact that children often can’t get access to experimental drugs until the agents have been fully tested in adults. He’d like to see quicker access for youngsters to potentially lifesaving treatments. All of those prospects are tantalizing for ACS CAN, which is why its volunteer network has no intention of letting up when it comes to the One Degree Project. Whenever those efforts are underway in Wisconsin, Davidson plans to be there. He hopes that others will do the same in their own towns and states, getting started by visiting the ACS CAN website at acscan.org/volunteer.